Looking to get more out of your marketing in 2019? 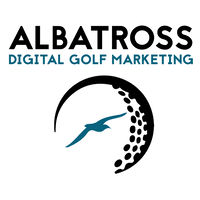 Here at Albatross Digital Golf we are passionate about golf and our mission is to use our industry expertise combined with the latest digital marketing techniques to help clubs grow, thrive and invest in their future. Having worked with over 70 clubs across the UK in the last 4 years, we have developed an extensive knowledge of the most effective marketing campaigns that will give you the best chance of generating a significant return on your marketing investment. With that in mind we have put together our best ever educational webinar which we hope will shape your marketing strategy in 2019. We have just 50 spaces available so be sure to register quickly to avoid disappointment. The 5 campaigns will cover all areas of income generation including membership, societies, green fees, weddings/functions and a money spinning Get Into Golf Campaign. Whatsmore, we will be giving away a free marketing campaign of your choice to one lucky winner who attends the webinar on the day worth over £1,000.